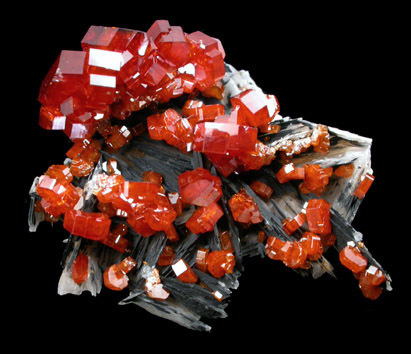 Description: Vivid red vanadinite crystals up to 5 mm on matrix of bladed barite crystals coated with black manganese oxide. 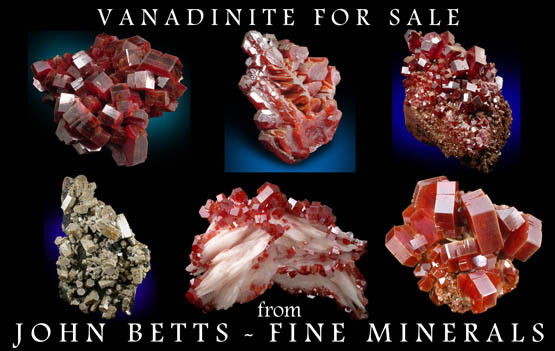 The vanadinite crystals are lustrous and translucent. 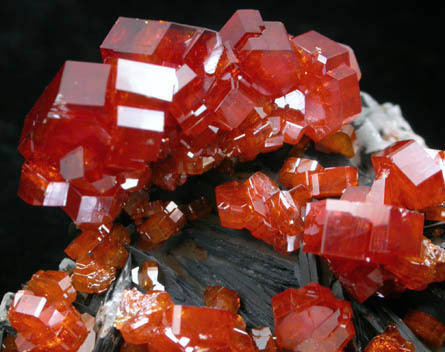 Two crystals are missing.